Most rivers now require the use of a fire pan when camping along the river. 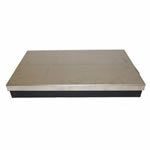 The Clavey Fire Pan is a heavy-duty model that meets all permit requirements. It is manufactured with a unique "floating" bottom so it wont warp after prolonged use. 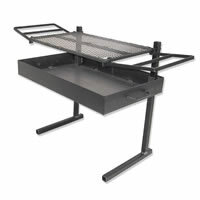 Our Fire Pan has a large burning area and extended warming racks that fold into place. Everything packs inside the pan for easy stowage. 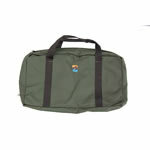 Fire pans get pretty dirty so we usually recommend a Fire Pan Lid and a Fire Pan Bag and to store them in. The Fire Pan measures 15in x 24". Pan size: 15" x 24"